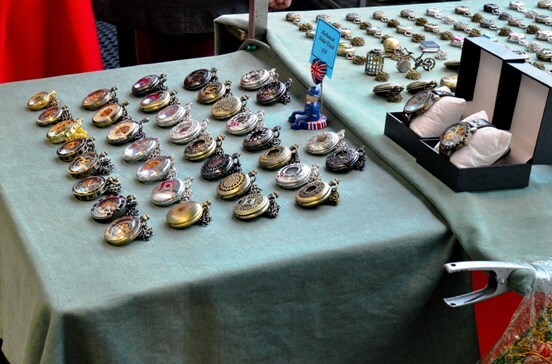 There are numerous London Markets, these are just a few. 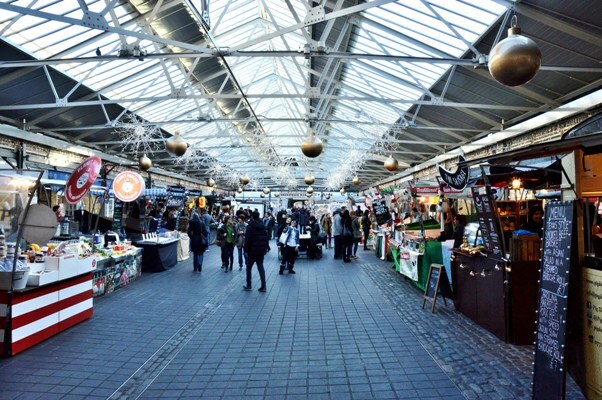 The largest and probably the best markets being at Camden (further down). 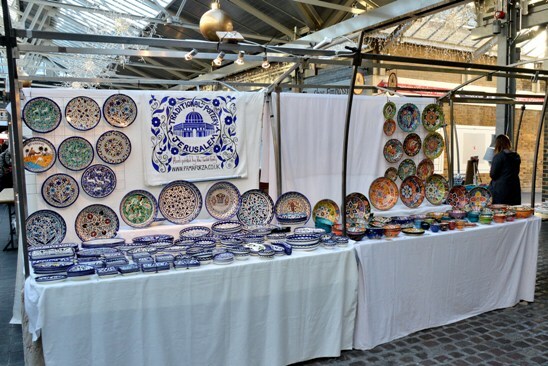 Greenwich Market ⇑ is quite small but full of arts, crafts and interesting foods. It makes part of a great day out at Maritime Greenwich ⇐ with its many attractions. Spitalfields Market ⇐ ⇑ is in East London, is quite large and has a number of specialty days including arts, style and occasional antiques. There are some bargains available. Camden ⇐ ⇑ has several markets including Camden Town, Camden Lock, Horse Tunnel Market and Stables Market. Altogether it is a massive and fascinating shopping area including arts, crafts, fashion, food and entertainment. Covent Garden ⇐ ⇑ market is quite large with quality goods, eateries and some street performers. 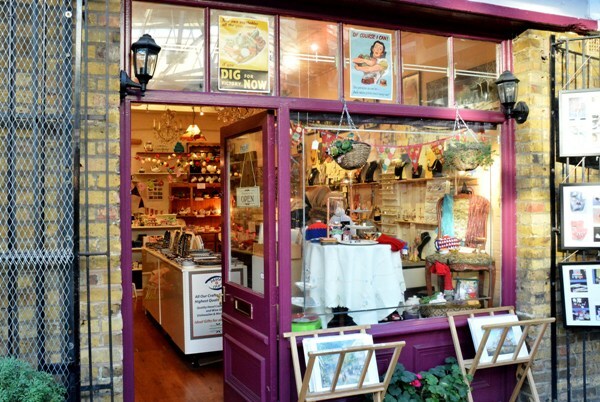 Portobello Road ⇒ , in West London, is world famous for antiques and believed to have the largest collection in the UK. The best approach is probably from the north from Ladbroke Grove underground station. Google images ⇒. Petticoat Lane, in East London is well known for design and textiles. It has unusual opening times with the full market only open on Sunday mornings between 9 am and 2 pm and entirely closed on Saturdays. The market radiates from Wentworth Street (off Middlesex Street). Google images ⇐.